Welcome to Claim Investigators, a venture of Greves Verification Solutions DWC LLC, DUBAI - UAE; a group with wide range of risk management services with a separate division of insurance Claim investigative services. We are proud to have our partners and associates in more than 115 countries and our network is spread in all dimensions of Asia, Africa, Australia, New Zealand, Europe, North America and South America by covering even the remotest locations. We are here to serve you and to replace your uncertain decision while remitting any claim. Our services are specially design to protect the Insurance sector. The Insurance sector is very wide and through our services we try to curb the fraudulent activities assisting the sector on every step. 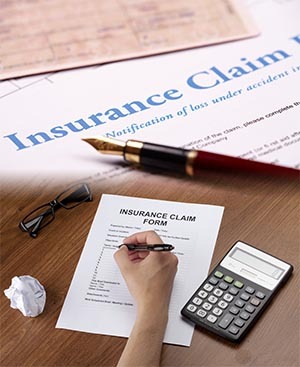 We have experienced and trained partners/associates across the globe that has expertise for investigating the insurance claims with wide vision. They are holding good reputation and are known in their respective locale especially to tackle difficult situations. This makes us unique for providing the best services and with quick results. Our team of Claim investigators promises to serve clients round the clock, while you are in any corner of the globe. We follow a simple process while documenting the case but through proper analyzing and directions. We tackle each case with different Modus-Operandi and with this specialization; we undertake all kind of insurance investigation matters ranges from Insurance Fraudulent Claims Investigations, Accidental Benefits/Vehicle Crash Claims, Life Insurance Claim Investigations, Third-Party Claim Investigations, Fatal Accident Investigations, Death Verifications and Medi-Claims Investigations and other claim related issues. Our services are retained by many insurance companies and they are witnesses to the fact that they have gained the benefits of our services. We successfully verify the legitimacy of the claims, identifying the liable fraud, false claims and provide better risk management service of Insurance sector. We always believe that investigation should be conducted in a manner that we obtain all evidences relevant to save our client’s money. Our teams of investigators in each country are professional and capable to figure out the true facts so that we help our clients to save a big amount of money. The claim investigations mainly are conducted through open enquiries but if the need arises we make discreet investigations with complete confidentiality. As an important part of every claim investigation, our investigators put in their best of efforts to trace the fraudsters. There are numerous cases where we abstract the details through different language transcript and our translators compile the reports by translating the reports. We always make sure that our reports are compiled with proper statements and provide the end results. We always keep the clients budget into consideration but with real outcome. In few cases, our team has obtained relevant evidences of actual status of the claim which are far costlier than it’s worth. We are well equipped with latest equipment’s for surveillance which help us in giving our best of services. We always try our level best to guide and help Insurance industry by handling the growing problems of Insurance Frauds. If you feel suspicious about a claim, we are there to assist you. Our only aim is to serve our clients and provide solutions by suggesting the best ways to curb the fake claims. With our expertise and skilled professional claim investigators, we make it harder for the bogus claimant to succeed. To avail our services based on your need and desirability, kindly contact us on info@gvs.ae according to your requirement and suitability.